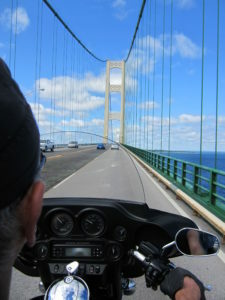 If you are looking for great motorcycle routes in Michigan – you’ve come to the right place. The Great Lakes State is wrapped in wonderful scenery as it lies nestled between four of the five Great Lakes. 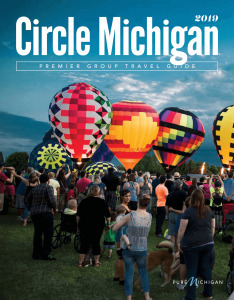 This picturesque positioning results in Michigan boasting 3,288 miles of shoreline … more than both California and Florida and second in length only to Alaska! In between these shorelines motorcycle riders will find great restaurants, microbreweries, wineries, and other popular attractions. The topography of the state is generally level yet rises to about 1,600 ft in the lower peninsula and 1,800 ft in the upper peninsula. Come on out and experience our spectacular scenic and winding roads. Enjoy the ride!